It’s sweet corn season, when you can bring home armfuls of the stuff for pocket change. Crunchy, sweet, milky sweet corn- one of my favorite things. For the next month, sweet corn will be a staple around our house, especially because it’s so versatile and also just so very, very good. Radishes are another one of my favorite things to seek out at the farmer’s market, but they are a bit harder to come by in August. Radishes are everywhere in the spring and early summer, but by now, I mostly get funny looks when I ask the vendors if they have any stashed somewhere. But I really love them, and they’re not impossible to grow later in the season… are they? My tenacity paid off when I found one farmer with three beautiful bunches left. I snatched up all of them and left the market a happy camper. And now, after making this salad, I’m even happier. 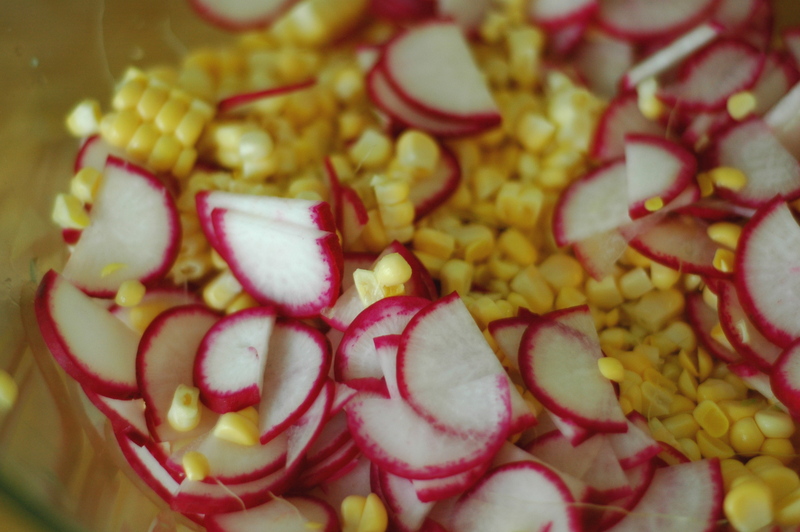 Who knew that the combination of corn and radishes could be so wonderful? Certainly not me. But apparently, someone over at Food & Wine did know, and to them, I am eternally grateful. 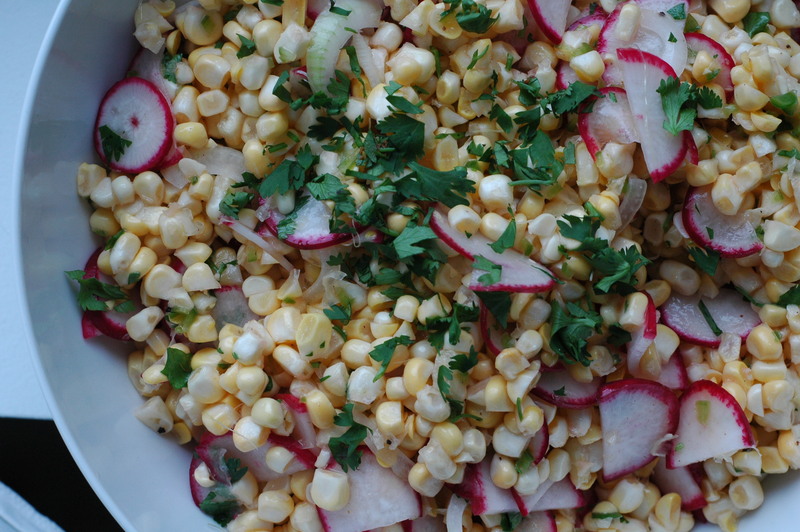 This salad is full of crunch from both the corn and radishes. The corn has a creamy, chewy bite, and the radishes are more of a crispy crunch. It just works. 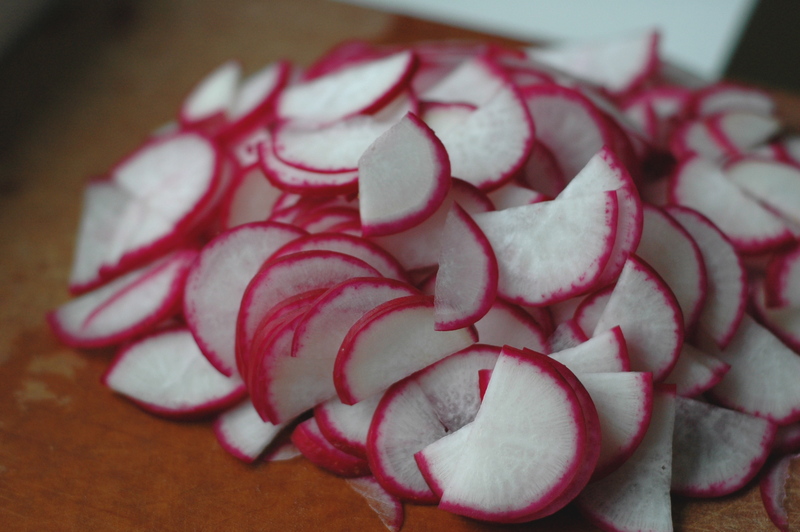 And a funny thing about radishes: when sliced thin, and eaten with something creamy (butter is my all-time favorite) and a bit of salt, the sharpness of the radish itself mellows out, and you’re left with a faint peppery brightness. I’m assuming that’s why it so out of this world against the creamy raw sweetcorn. But the why isn’t important. What’s important is that you go out in search of some radishes and then make this salad for the next barbecue you’re attending. Come on now, hop to it! 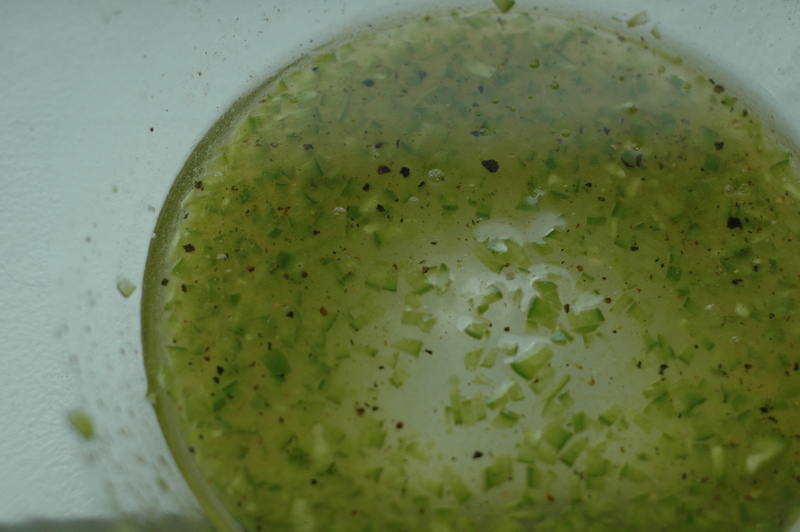 In a small bowl, whisk the lime juice, jalapeño, honey, and cumin. Whisk in the oil. Season with salt and pepper. 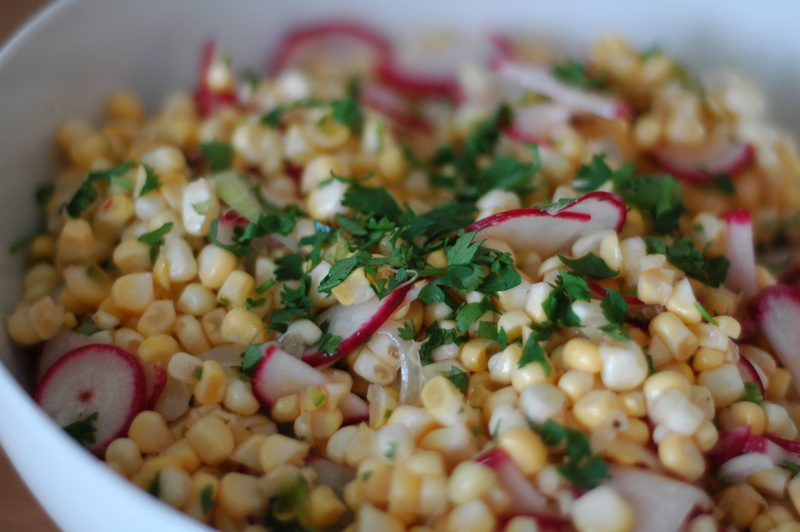 In a large bowl, toss the corn with the radishes, cilantro, onion, and dressing. Season the salad with salt and pepper to taste. Chill until ready to serve. You’re right. This is delish! keep your fork handy… it keeps begging for just one more bite! Christine, this is tara from your mops group…I just made this and it hasn’t even made it out of the mixing bowl. im just standing here devouring!!! love it! Hi, Tara! I admit, that’s pretty much how ours disappeared, too! 😉 Glad you like it!